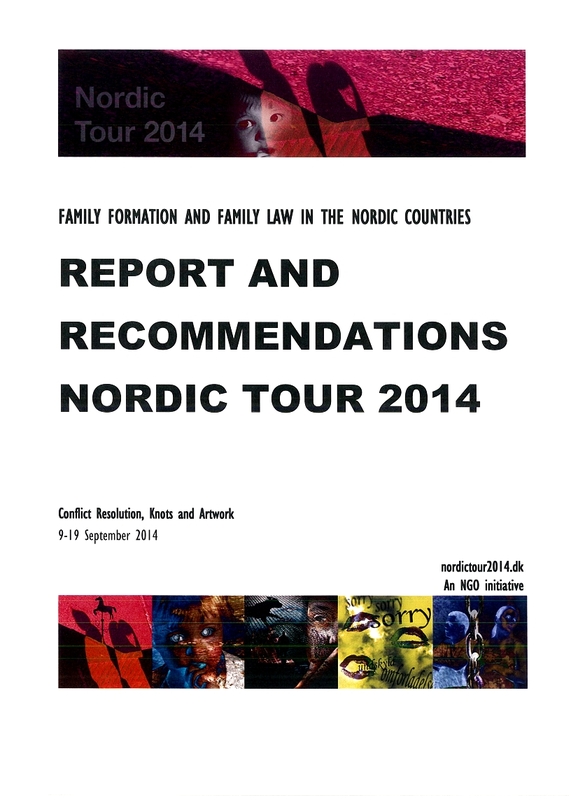 The report on Nordic Tour 2014 contains information about the tour, experience collections and recommendations. It exists in Danish as well as English and will soon be sent to the relevant organisations and authorities, including UN Women. The report can be read here: Nordic Tour 2014 report. This entry was posted in 03. Articles and links on April 10, 2015 by admin. “The child’s best interest” is a central concept in family law, and the interpretation of the principle can have wideranging consequences. “Even though it is extraordinary that almost all of the nations of the world support the child’s best interest as a fundamental consideration regarding all actions that concern children, the principle has also received criticism. A central question is whether the fundamental need for the principle disappears when the Convention recognises children’s rights, not just their interests. This entry was posted in 03. Articles and links and tagged Convention on the Rights of the Child, CRC, The child's best interests, Trude Haugli on March 10, 2015 by admin. Read the full report on WHO’s website. This entry was posted in 03. Articles and links on December 11, 2014 by admin. Two feature articles in the Danish national newspaper Politiken clarifies and informs of the negative effects of the Danish Parental Responsibility Act of 2007. The articles argue that the act is de facto blind to violence as well as gender and that the processing of the cases is inadequate. The feature article “A scandal with implications for the children” was published in Politiken in 2008. The second feature article, “The Act on Parental Responsibility harms children”, was published in Politiken in 2014. This entry was posted in 03. Articles and links on September 4, 2014 by Anah Maskell. The brochure deals with preventive measures which have been taken in Europe to combat male violence against women in intimate relationships. It surveys the status of prevention efforts in the EU Member States and in the candidate countries and reviews good practice models. This entry was posted in 03. Articles and links on August 27, 2014 by admin.